The Freedom From Religion Foundation has ensured that teachers in a Texas school district will stick to secular décor during its arts and crafts festivities. It was brought to FFRF’s attention that this past December, Sunray Independent School District hosted a Christmas Open House event that featured elaborate holiday-themed wall decorations throughout the building, including hallway walls and classroom doors. 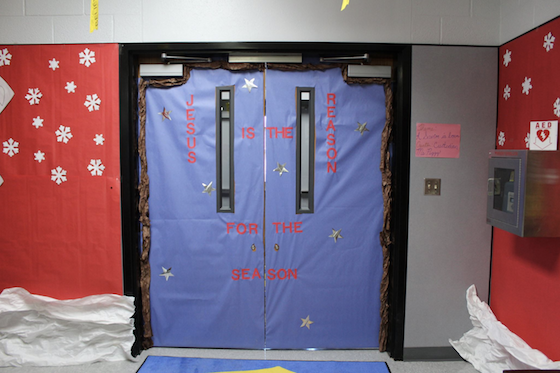 While the adornments were impressive, some district employees unwisely chose to festoon their doors or hallways with overtly religious decorations. 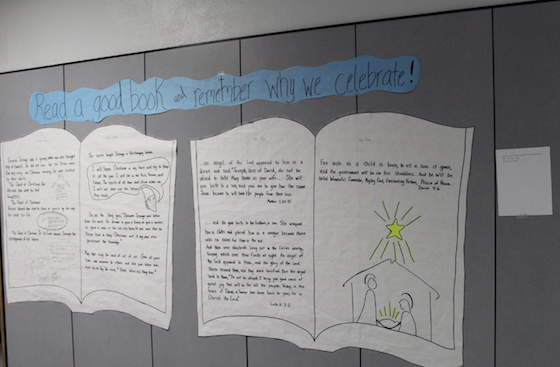 For examples, there were depictions of the biblical story of the birth of Jesus and messages such as, “God so loved the world he gave,” “Jesus is the reason for the season” and “The Greatest Gift is HIM!” One display encouraged, “Read a good book and remember why we celebrate!” with a summary of the biblical story underneath. FFRF sent a letter to Sunray ISD Superintendent Marshall Harrison warning the district not to permit its employees to use the event to promote their personal religious beliefs or to encourage students to read the bible. Public schools have a duty to protect their students’ right of conscience and ensure that teachers do not use their positions of authority to promote a particular religious viewpoint. Harrison recently responded to FFRF’s request, assuring the state/church watchdog that in the future, Sunray ISD employees will be briefed on not promoting religion. FFRF tips its hat to the district for choosing to use the opportunity to educate district employees on their obligation to remain neutral on matters of religion. The Freedom From Religion Foundation is a national nonprofit organization with over 30,000 members across the country, including more than 1,300 members in Texas. FFRF’s purposes are to protect the constitutional principle of separation between state and church, and to educate the public on matters relating to nontheism.